Eliza Taylor poses with her 100 costars Marie Avgeropoulos and Tasya Teles while attending 2019 WonderCon over the weekend in Anaheim, Calif. The three actors were joined by showrunner Jason Rothenberg, plus co-stars Richard Harmon, Shannon Kook and Sachin Sahel. During the panel, the stars teased a possible prequel spinoff that’s been talked about for a long time. We are already so excited for the premiere of the new season of The 100. 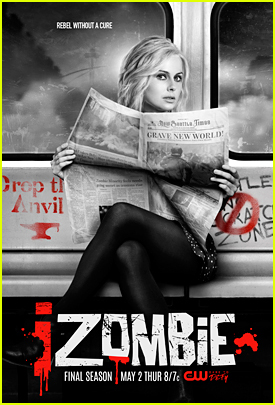 The new trailer for the upcoming sixth season of the CW series debuted on Thursday (March 28). While The 100 isn’t even close to ending the series (at least we hope not! ), Eliza Taylor already know what she wants to steal from the set. During the recent Unity Days 2019 convention, the actress revealed that it’s not Clarke’s clothes, or any of her weapons, but rather a drawing. One fan asked about whether the new planet sets meant the actors could take mementos from the old sets, and Eliza shared that she hasn’t lifted any souvenirs, yet. But if she could, Eliza pointed to the original drawing she did of Alycia Debnam-Carey as Lexa — the one where she drew Lexa with a monocle. We couldn’t think of a more perfect thing to take! 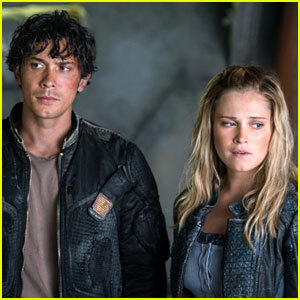 Bob Morley and Eliza Taylor are dishing on the status of their characters, Bellamy and Clarke, respectively, in the upcoming season of The 100. The co-stars, along with creator Jason Rothenberg, opened up in a new interview with TV Guide. The 100 returns to The CW at midseason in 2019. 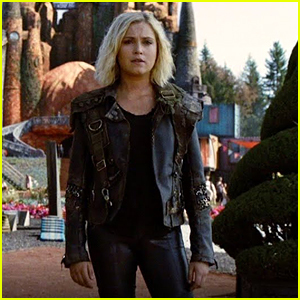 Eliza Taylor and Bob Morley are leaving subtle clues about what The 100 season six will bring us when it premieres next spring on The CW. The two stars joined showrunner Jason Rothenberg at 2018 New York Comic Con over the weekend to talk about the upcoming season and it’s going to be like a brand new show. We really are changing everything and the show is so different,” Jason shared. The upcoming episodes will also slow down for Clarke, as she reflects on some of her previous actions.